The City of Hamilton will be hosting the annual Bermuda Fashion Festival from July 7 – 14, 2019 and Savvy Entertainment will produce and manage the event for the City. 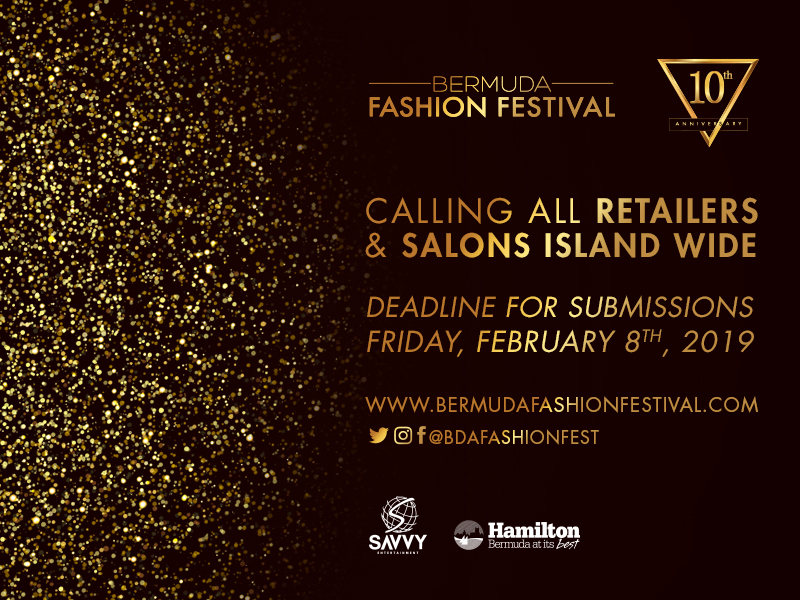 The Bermuda Fashion Festival is seeking previous and new retailers, salons, and designer participants to join in on the celebration of 10 years of success. A spokesperson said, “For the past 9 years the Bermuda Fashion Festival has been a platform for Bermuda’s retailers, salons and upcoming and established designers to showcase their talent and designs to the public. “This year marks 10 years and the Bermuda Fashion Festival is seeking previous and new retailers, salons, and designer participants to join in on the celebration of 10 years of success. “Bermudian designers are invited to apply for a place in the prestigious Bermuda Designer Mentorship Program. Designers are paired with a mentor from the international fashion community and are guided through a 4- month program. “During the program, they will create a full fashion collection for a spectacular reveal at The Bermuda Designer Showcase during the 2019 Bermuda Fashion Festival. The deadline for Bermuda designer submissions is Friday, February 8th, 2019. 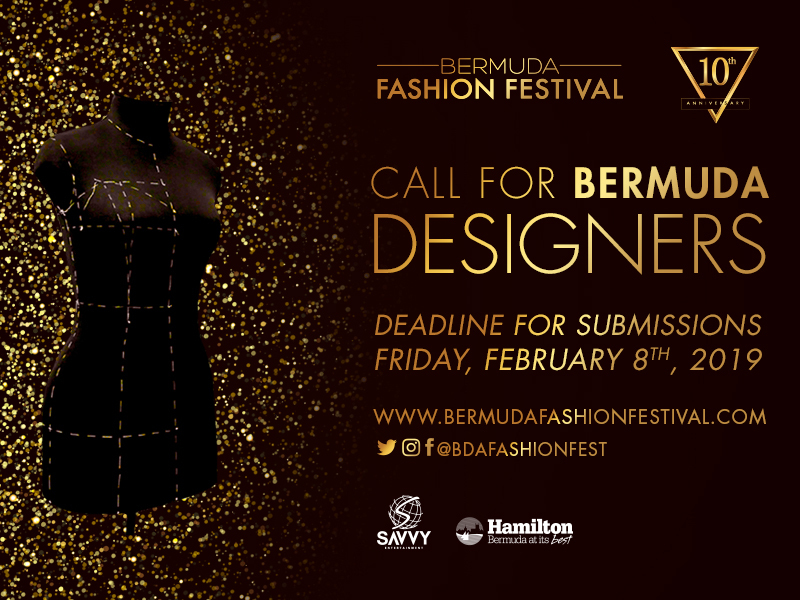 Designers can email their submissions to info@bermudafashionfestival.com. “Over the years we have developed a special bond with the retail stores in Bermuda and the Evolution retail show is one on the most anticipated shows of the week”, says Savvy COO Danilee Trott. “When it comes to Bermuda designers, we have seen numerous phenomenal collections over the years. To actually see the designers, begin their journey and to witness their final runway presentation is truly something that we look forward to every year. The Bermuda Fashion Festival will take place July 7 – 14, 2019. The Festival will once again feature high energy and visually stunning runway shows and innovative and spectacular social events.